We can ASK our questions of the Lord for He is “full of grace, equity, and truth, full of patience, mercy, and long-suffering, quick to hear the cries of his people and to answer their prayers” (Alma 9:26). As often as we inquire of the Lord, we will receive instruction from Him through the Spirit (see D&C 6:14). Elder M. Russell Ballard said, “I’m just so grateful to know that the answers are always there, and if we seek them—really seek with real intent and with full purpose of a prayerful heart—we will eventually find the answers to our questions as we continue on the gospel path” (“To Whom Shall We Go?,” #ldsconf, Oct-2016). Elder N. Eldon Tanner confirmed, “The answers to all life’s problems are to be found in the gospel of Jesus Christ” (“Celestial Marriages and Eternal Families,” Apr-1980). The scriptures contain the gospel of Jesus Christ, so the scriptures contain the answers to all life’s problems and questions. Therefore, “shalt thou inquire, and make search, and ask diligently” (Deut. 13:14). “President Russell M. Nelson has said, The Lord can only teach an inquiring mind'” (in Rosemary M. Wixom, “Returning to Faith,” Apr-2015). I invite you to join me in a search for greater light. Let us nourish and encourage all light as we search for the answers to life’s questions in the scriptures and then ask of God in faith so we may each know the truth, love the truth, live the truth, and share the truth more fully. 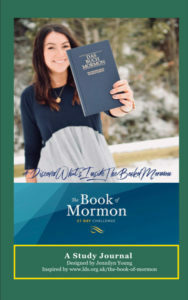 I have compiled the first 32 questions in A Study Journal inspired by The Book of Mormon 21 Day Challenge. It includes some of my thoughts along with additional scriptures and teachings from the King James Bible, Book of Mormon, Doctrine and Covenants, and living prophets and apostles of the Church of Jesus Christ of Latter-day Saints that have enlightened my understanding regarding these questions. I invite you to study these questions and then share your thoughts and connections with your core faith books with us via Facebook or Instagram @jennilynyoung or using #RiseUpandASK. Some of these questions have expanded thoughts that you can read by clicking on the link. I have included additional questions for your further study and consideration and would invite you to share your thoughts on them with us for future guest blog posts. How can I find joy? How can sins be forgiven? Why does doing good matter in this life and the next? Do infants need to be baptized? What happened after the resurrection of Jesus Christ? Why does God allow evil and suffering to happen? How can our faith grow? How can I find balance in life? How can I strengthen my relationship with my loved ones? Why should I attend church? / Why do I attend church? How does God communicate with us today? How can I stay on the good path? What does it mean to have charity? What can the Gospel of Jesus Christ offer me? How can I be a better person? How does God direct our path? What is the Book of Mormon? Why is it important? What can it do for me? 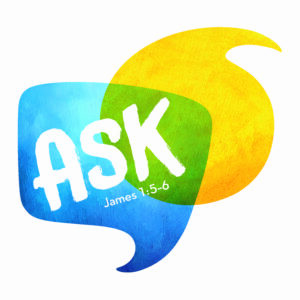 How do I find the answers to life’s questions in the scriptures? Is God aware of me? Does God know me and love me? Who is Jesus Christ? What is His role? What is my role? How do I prepare to live with God? I’m comfortable with my life and my relationship with God. Why should I seek to draw closer to Him? Why is service so important? Why are both faith and works necessary for salvation? What is the blueprint of Christ’s Church? What should we pray about? What do I need to do on earth to live with God in paradise? To what extent are men accountable for their choices and their actions? When does the resurrection occur? What takes place? What is the nature of God and Jesus Christ? How can God be both just and merciful? Why was Jesus Christ baptized? Why is it important to be baptized and receive the Holy Ghost? What do we witness “unto the Father” by being baptized? What is the covenant I make with God when I am baptized? What is the role of the Holy Ghost? What is the gospel of Jesus Christ? How did the Savior explain it? What do the scriptures teach about the word of God being written among multiple groups of faithful saints? What do the scriptures teach about the gospel being preached to both the House of Israel and the Gentiles? What do the scriptures teach about apostasy? What do the scriptures teach about a restoration of Christ’s church in the latter-days? What is my role as a husband / wife? What is my role as a neighbor? In a world with so many conflicting voices, how can a person judge what is good and what is evil? How can I know if the thoughts in my mind or the feelings in my heart are impressions from the Holy Ghost? How can I protect and strengthen myself against Satan’s attacks? What is the purpose of weakness and adversity? Why doesn’t the Lord always protect the righteous from the unrighteous? How should I treat others knowing that we are all children of God? How can I keep a proper perspective of who I am in God’s eyes? How can I keep a proper perspective of work and wealth? What happened in America when Jesus was born in Bethlehem? What happened in America when Jesus was crucified in Jerusalem? Who were the “other sheep” referred to by Jesus as recorded in John 10:16? Will Jesus Christ come again to the earth and establish peace? How did a prophet who lived in 600 B.C. describe our day? How do I continue to nourish my testimony and become a disciple of Jesus Christ? What are the blessings associated with doing God’s will?